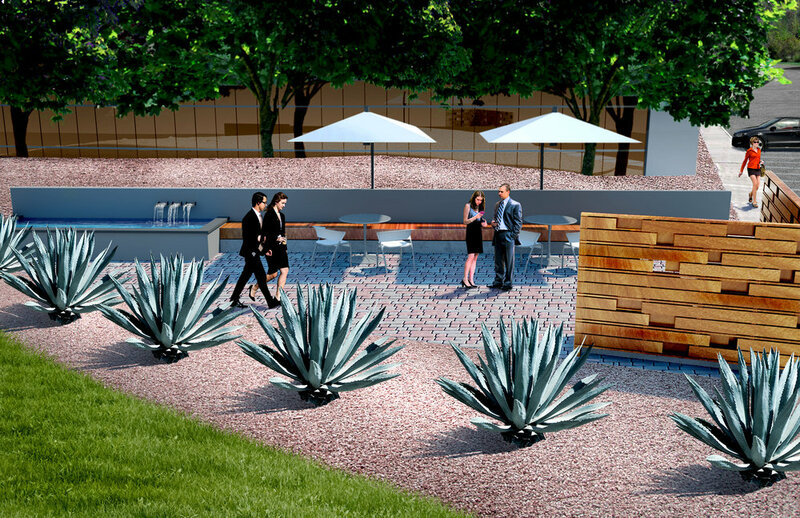 This outdoor space serves as a comfortable gathering point for approximately 200,000 square feet of corporate office. 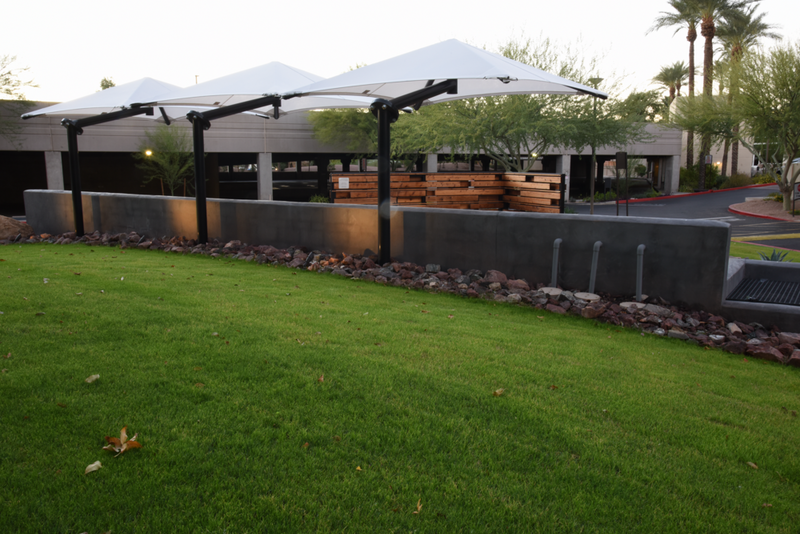 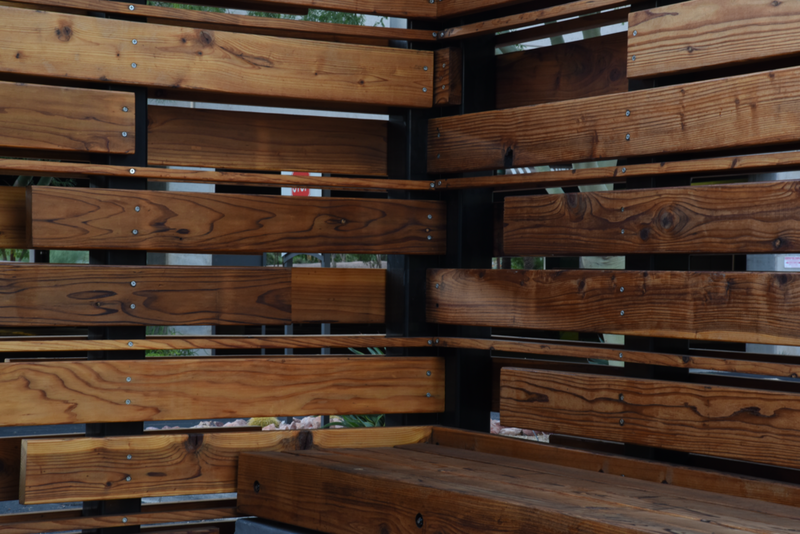 The strategies employed take advantage of existing landscape and shading and supplement these features by orienting new shade structures and the seating area for optimal outdoor comfort. 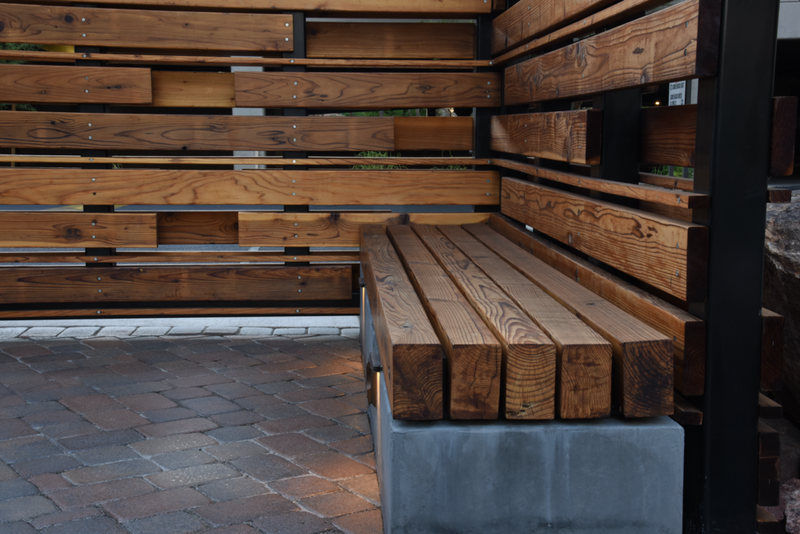 A small water feature and high wood wall and bench add to the serenity and warmth of the space.